Low Carb, Gluten-Free, Spinach Quiche! | Super Stay At Home Mommy! Low Carb, Gluten-Free, Spinach Quiche! 1. Preheat the oven to 400F. Fry the garlic in oil in a large saucepan. Add the spinach and cook until wilted. Beat the eggs, cream and cheese together in a mixing bowl until combined. Add the wilted spinach and season. 2. 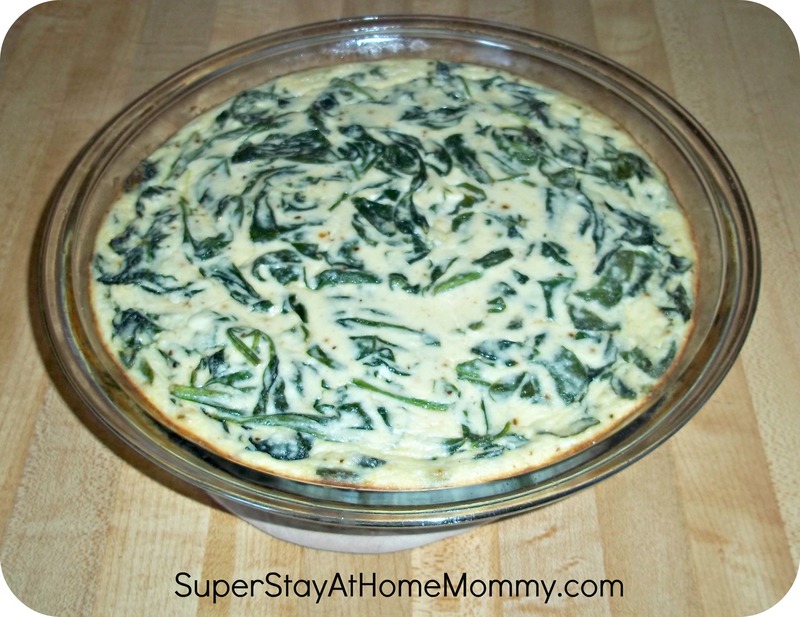 Transfer the spinach and cheese mixture to a buttered quiche dish and bake in the oven until just set. This should take around 20-25 minutes. Once cooked leave to cool for 2 minutes before very carefully slicing. If you try it, I’d love to hear what you think of it! That vegetarian steak looks yummy!